China DAYA brand 550ton servo motor injection molding machine DY550 is suitable for making kinds of plastic fruit crate, big crate, middle crate and small fruit box,etc. since this machine is with servo system controlled by the smart controller.it can save much electric energy compared to normal machines. 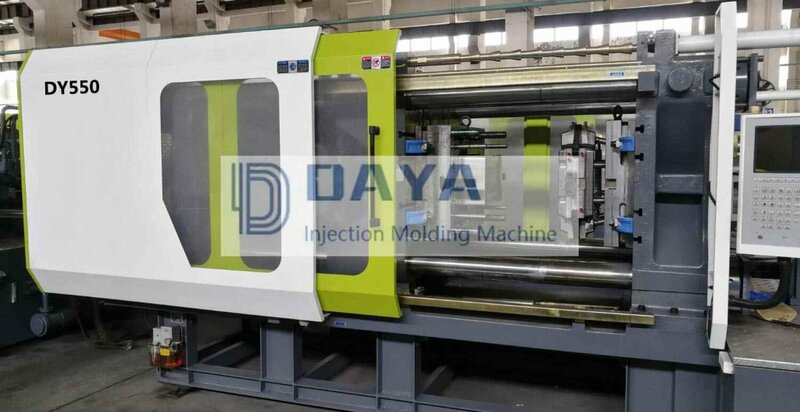 Of course, if customer’s budget is not enough, we can also make the injection molding machine DY550 with standard normal motor and vane pump. it is also suggested to the customers where the electric supply not stable. 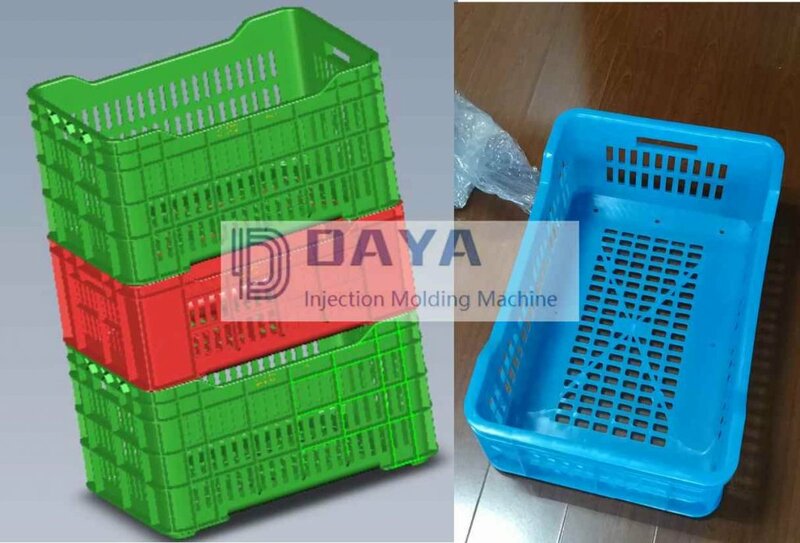 For example, below are some photos of the mold testing of fruit crate by our injection machine DY550. it is for a customer in Africa. the dimension of the fruit crate is 527*350*221mm, weight is 930g. 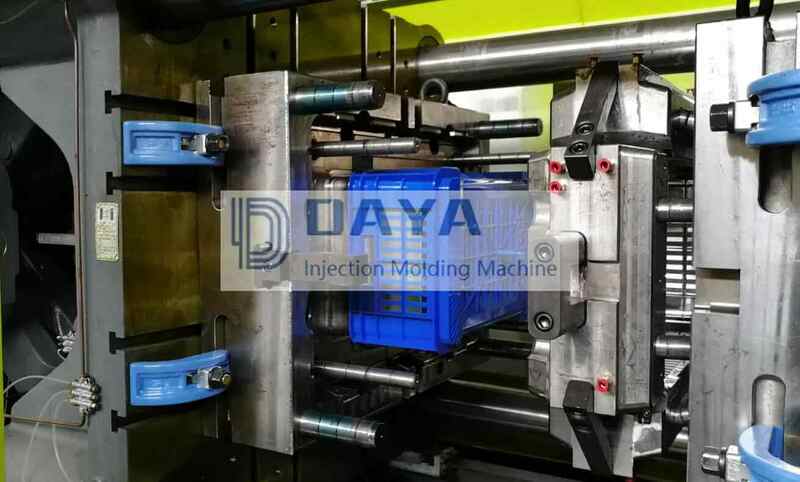 and because of the proper mold design, the final crate can be ejected out and fall down, the injection molding machine can run in automatic mode. servo energy -saving injection molding machine. there is no extra energy consumption due to putput olume chages according to the load. the servo motor doesn’t work during the cooling time, and the electric consumption is 0. servo model injection molding maachine can save 20% ~80% energy compared to normal machine.